Another beautiful title from the Authentic Mantra series: albums produced and recorded in India cont.. Ancient words of the Celts brought to life in a new, unique way. Enjoy these heart warming mantras w.. This album features some of the foremost devotional texts in praise of Lord Shiva, one of the holy t..
Deva Premal's vision for her beautiful album Dakshina (2005) is to honour 'the inner guru' in all i..
Dewa Che (1999) features wonderful old and new Tibetan mantras, performed by the Tibetan singer Dec.. Embrace (2002) finds Deva Premal at the height of her art, expressing the ancient wisdom of mantra ..
Deva Premal's debut album (1988) has become an international best-seller and is one of the most pop.. In Eastern religions Ganesh (or Ganesha) is the deity who removes all obstacles and is usually seen ..
On this album you can hear ancient Sanskrit chants accompanied by symphonic arrangements in honour .. 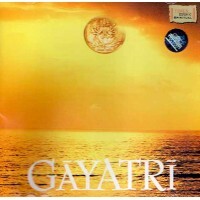 This album starts with evoking Gayatri, the personification of the Mother of all Vedas who is associ.. In response to the many requests over the years, this long awaited album is capturing the magic of .. This album, released in 2008, offers a soothing compilation of some of Deva's most meditative chant..
Deva Premal's second solo album Love is Space (2000) contains six sacred mantras from India, inclu.. The Maha Mrityunjay mantra is known for its power to rejuvenate, bestow health, increase wealth and ..
For those people already familiar with singing mantras, this double album is designed to provide mu..